The transition from preschool to primary school is a crucial time of change for both children as well as their parents. At ORGANIC KIDS, the Kindergarten (K.G.) curriculum ensures smooth transition to formal schooling with meaningful and progressive learning experiences. 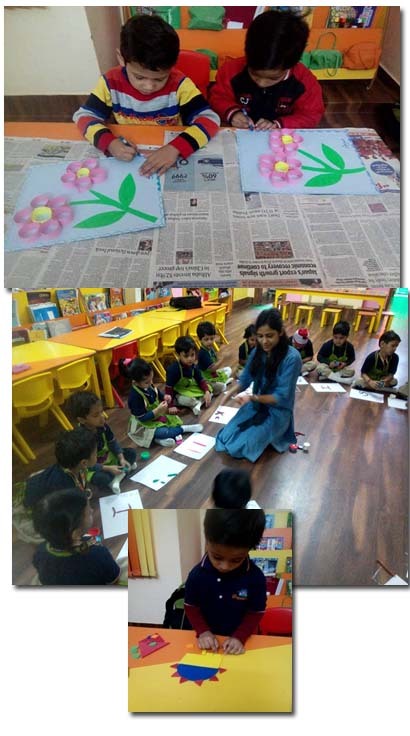 In addition to age-appropriate activities in Kindergarten, which prepare a child for success in formal school; various other activities are conducted in the areas of language, numbers, general knowledge, music, art in a planned manner throughout the program. Technology plays an important role in ORGANIC KIDS to impart foundational learning and creativity of the children. Through these activities, children learn the alphabet and letter sounds, numbers and simple math and master early writing skills. Furthermore, each child’s development is measured thrice in a year through well designed assessment. © 2018 Organic Kids. All Rights Reserved.